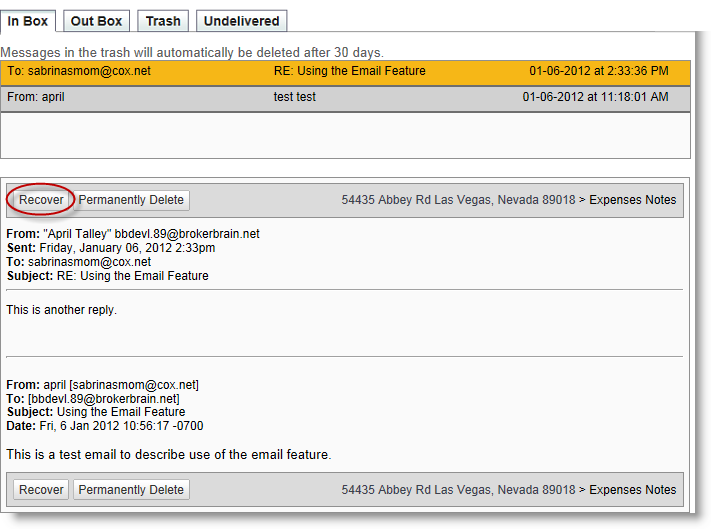 When you delete an email from the Inbox, it will move to the Trash folder and remain there for 30 days. After 30 days it will be permanently deleted. If, within the 30 day window, you wish to recover the email, simply go the the Home>Email>Trash subtab, select the email to display its detail in the lower pane, then click the Recover button (shown circled below). The email will be moved back into your Inbox.